Yasmin Abshir Warsame is a Canadian model and activist of Somali origin. In 2004, she was named "The Most Alluring Canadian" in a poll by Fashion magazine. Warsame was born in Mogadishu, Somalia in 1976. She is a Muslim. When she was fifteen years old, she moved from Somalia to Toronto, Canada with her family. She later studied psychology and social sciences at Seneca College. Yasmin was discovered in 1997 by professional modelling Agency owners /scouts from SHOK Models in Toronto, Cindy LaChapelle and Camille Bailey. LaChapelle and Bailey first scouted Yasmin while she was riding the TTC Subway train. Much to their dismay, she did not contact them right away. Ironically, and approximately a couple of weeks later the two ran into Yasmin again while she was walking on Queen Street East near Spadina Avenue. They convinced her to come into the SHOK office for a meeting about the business. This meeting resulted in a signed contract with SHOK as Yasmin's Mother Agency. SHOK Models arranged her first testing with Toronto based photographer Chris Albert. Shortly after, Yasmin booked her first modelling assignment with Fiorio Salon for the ABA (Allied Beauty Association)annual hair show. Yasmin did the show while she was in her first trimester of her first pregnancy. She revealed her pregnancy to SHOK Models and asked for leave from modelling so she could focus on motherhood responsibilities. In 2000, Warsame began modeling again with a booking for the Sears catalogue. She was in her early 20s and five months pregnant with her son Hamzah when she accepted this shoot. Although she worked as a fashion model in Canada for almost two years, Warsame's look was considered too "haute couture" for the local scene, making work scarce. So, in the summer of 2002, she headed for Paris. Her breakthrough came later that year with a feature for the Italian Vogue, photographed by Steven Meisel. 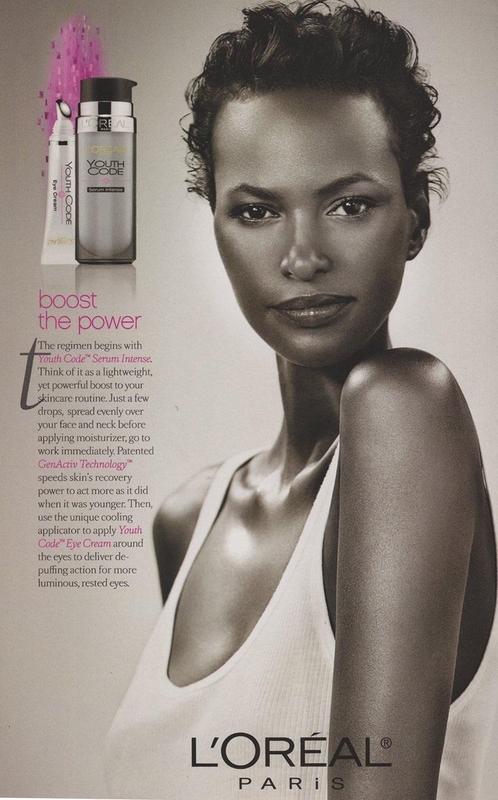 In 2000, Warsame began modeling again with Ford Models in Toronto, with a booking for the Sears catalogue. In the summer of 2002, after switching to NEXT Models Canada, she headed for Paris. In December 2011 she was featured as the cover model of YYZ Living then later an entire 2012 editorial from Flare. Warsame has worked for agencies like SHOK Models (discovered Yasmin), NEXT Toronto/Montreal (mother agency), NEXT Paris, NEXT London, IMG New York, View Barcelona and Tony Jones Amsterdam. She has been featured on the covers of a.o. Vogue Italia and American Vogue, American and British Elle, and Amica and Surface magazines. She has also modelled both the couture and ready-to-wear runways for everyone from Christian Dior to Jean Paul Gaultier. In addition, Warsame has done high-profile advertising campaigns for Valentino couture, Dolce & Gabbana, Escada, Hermès, Shiseido, Chanel, GAP and H&M. In 2007, she also became a judge on Cycle 2 of the Canadian reality television series, Canada's Next Top Model. Warsame was, and from time to time still is, a volunteer for the Somali Youth Coalition in Canada. She currently lives in New York and Toronto, and is signed with IMG Models.